More and more people have work at home careers with today’s technology whether in sales or an office position. That is why it is so important to have a space that accommodates home and work. 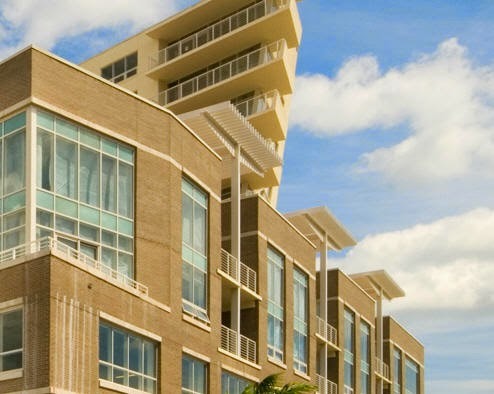 MIDBLOCK is a mixed-use building in Midtown Miami with a combination of lofts, townhouses and tower units. 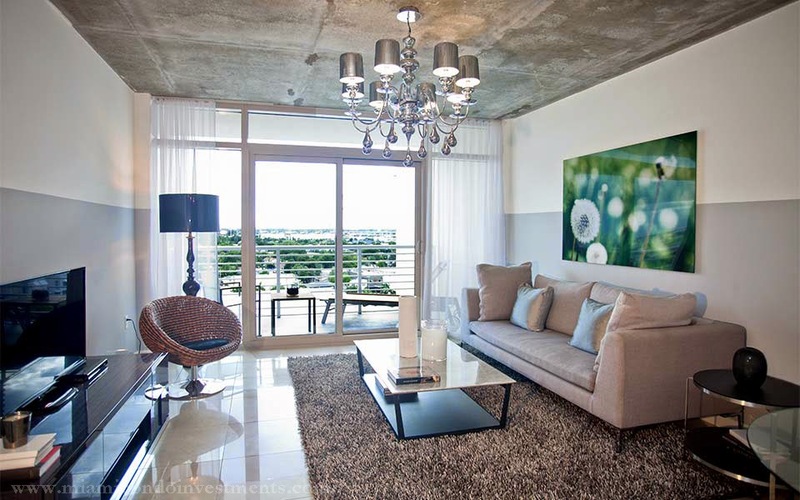 It showcases some of the trendiest and most inviting properties Midtown Miami real estate has to offer. Designed by Forum Architects, MIDBLOCK is undergoing a shift from a total rental community to a building with individually owned units. One of the most unique qualities of MIDBLOCK is its architectural style that features a glass rotunda filled with retail and restaurants surrounded by townhouses and live/work lofts with tower units on top of the business levels. MIDBLOCK has a coolness factor to it that appeals to buyers who have a desire to have a more updated and modern living space. The physical address of MIDBLOCK is 3250 NE 1st Street which is in the heart of Miami’s Midtown neighborhood. The best part about living in Midtown is that it is surrounded by other great neighborhoods like Wynwood and the Design District and all that those areas have to offer. In fact, it is often referred to SoHo in New York City – the only difference being that it is about a five minute drive of Miami Beach. Additionally, it is very close to the major travel arteries and transportation hubs for which Miami is known. In fact, MIDBLOCK is close to everything! From here you can be anywhere in Miami in less than 10 minutes. The mix of residences at MIDBLOCK include apartment units, townhouses and loft units that range in size from just over 800 square feet for a one-bedroom tower unit to over 2,000 square feet for a loft and everything in between. List prices start in the mid to upper-$300s and climb to over $600K depending on the type and size of unit. Because it was a rental community up until recently, many of the units MIDBLOCK rentals already had lease agreements in place which makes this a huge opportunity for investors. Investors can expect to get anywhere from $2,000 to $3,500 per month for rental rates. There are currently four units for sale at MIDBLOCK all in the Tower with list prices ranging from the upper-$300s to mid-$500s. Over the past six months, 13 units at MIDBLOCK have sold with sale prices falling between the upper-$300s and low-$500s. MIDBLOCK is a perfect example of how the real estate market pendulum has swung in the right direction and reflects a growing economy. With 13 sales under its belt since it went from an entirely rental community to individually-owned units, it shows that there is a need for properties of this caliber. MIDBLOCK is what Miami real estate buyers want – especially when Midtown is where they want to be. The blog is very informative. Thank you! The construction industry contributes in creating a greater as well as creative outlook not only for the home builders to build and develop new homes, but it is also giving a greater vision for the home buyers to customize the features of the home design covering all the necessary aspects while designing the home. The luxury real estate is providing a vibrant service by adding a skyline for the architects, builders and home buyers to enjoy a luxurious life to the fullest. Now a days, you can find many home builders in South Florida, where they are providing an excellent opportunity for the home buyers to customize their home while still maintaining the luxury and exclusivity of the desired home.